It’s the time of year when nature accelerates towards the summer, making the most of lengthening days and the rising temperatures. You don’t have to be an early riser to enjoy the growing volume and variety of birdsong as the feathery, churchyard denizens shake off their winter sociability to sing for mates and territories; gone is the mutual protection of flocking together, now it’s every pair of birds for themselves. This is the time when the birds are more concerned with raising the next generation than they are for their own safety, so they stake their claims on the best feeding pitches and the safest nesting sites - even in the church yard it is a case of survival of the fittest. But whilst spring’s melodies trill, cheap and chatter from the security of the undergrowth nature’s palette is brightening up the ground. Just a few nodding snowdrops remain, the snow-like swathe of a month ago having melted away as the weather warms. 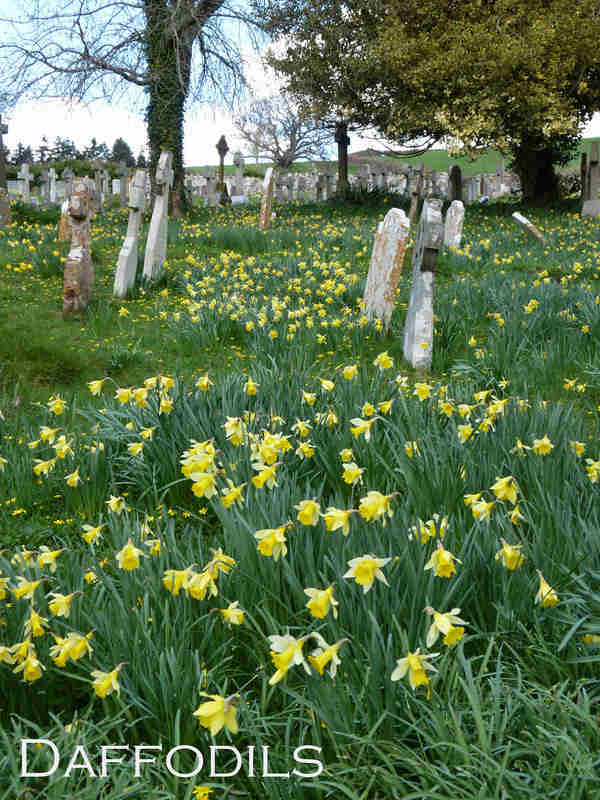 Bright yellow is the next colour in the artistic calendar of flowering, and Wordsworth would have approved of the golden host that cloaks much of the churchyard – the daffodils are well worth the stroll around St Andrew’s. The long-stalked daffa-dillys’ trumpets, resplendent in the sunshine, proclaim their presence to any passing insect. Catching the attention of the early flying insects is the sole aim of these first flowers, getting spotted (and pollinated) before the taller vegetation of summer swamps them from view. 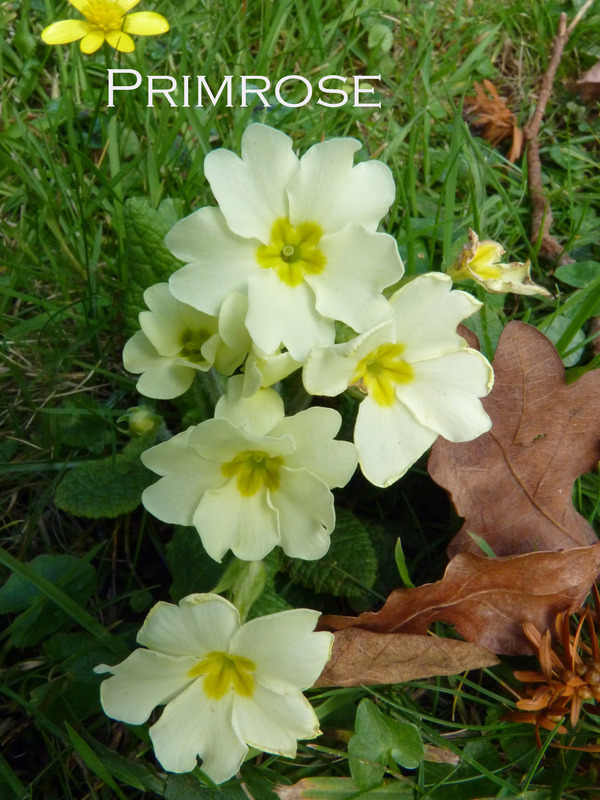 The subtle, pale sulphur-yellow of the primrose -the prima rosa, the first rose of spring – decorates the edges of the paths and offers a delicate contrast to the gaudy gold of the daffs. 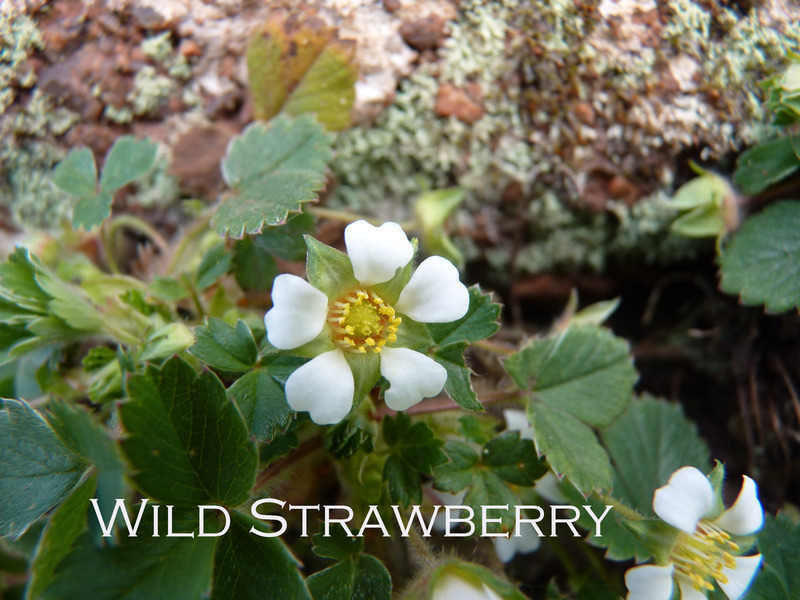 These wild varieties are much more useful to the insects than the odd pink individuals that spot the butter-coloured canvas. The blushing cultivars look almost embarrassed and are certainly out of place, primulas of the later summer when the reds and pinks take over from the yellows of early spring. 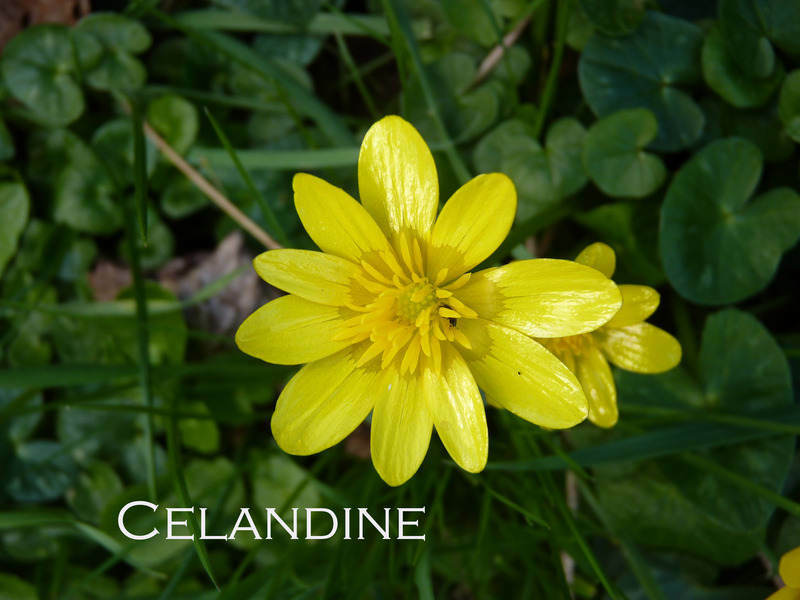 Judging by the amount of deep-green-tinted leaves it’s going to be a bumper year for celandines – a flower named from the Greek chelidon, the swallow; more a harbinger of summer than spring. Already the narrow-pointed, bright yellow stars are more than scattered throughout the churchyard and the best is yet to come. While your head is bent to the ground keep an eye open for the beautiful dog violets, already blooming in the shade of some of the larger trees, whilst making no attempt at shyness the first wild strawberries are in flower between the stones of the south-facing churchyard wall, catching every bit of available warmth from the sun to give them an early start. 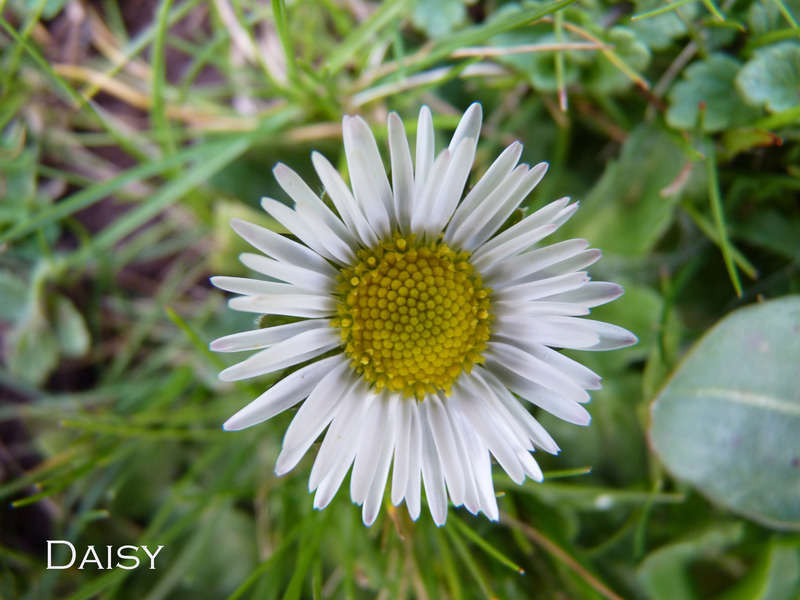 Also holding their heads up are the yellow-centred, white-petal encircled, daisies looking to the sun for sustenance, like so many eyes amongst the turf, the ‘days eyes’ deserve their name. As the flowers bloom and grow they become tell-tales for the comings and goings of less welcome visitors. Criss-crossing the verdant, flower-speckled carpet of the churchyard the badgers’ routes become apparent, leading the curious to the excavated sett in the centre of the churchyard. It’s a secluded, if obvious place for a badger, and there are other signs too, smaller excavated pits show where these nocturnal diggers have scratched for grubs, worms or even the bulbs that make the churchyard in spring the picture it is.